I travelled to Paris last week for two glorious days of shopping, sight seeing, countless coffee breaks and lots of eating and drinking. 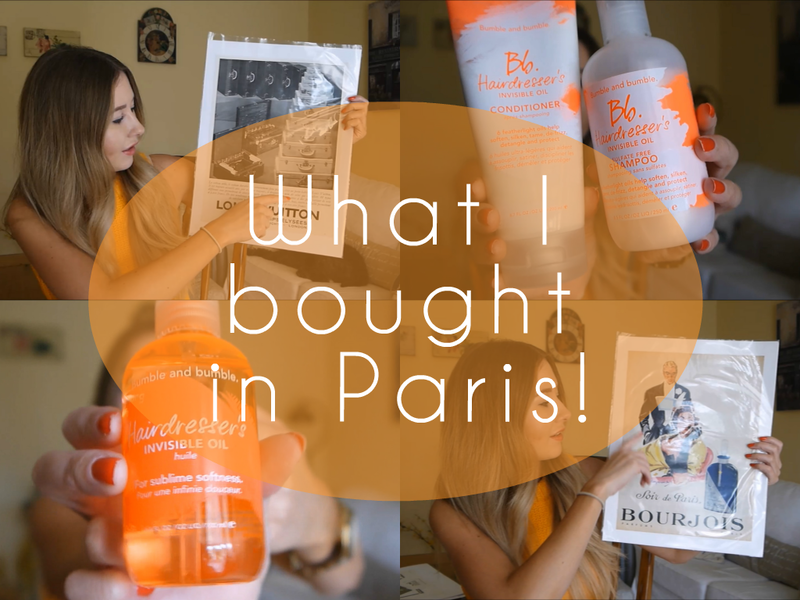 I blogged/vlogged my entire trip and will be uploading it straight onto my blog and my YouTube channel within the next few days, but in the meantime, I wanted to show you a few bits that I picked up whilst I was there. I didn’t originally intend to buy much whilst I was out there (famous last words), but after stumbling upon a stall selling one-off vintage items that I couldn’t possibly pick up anywhere else, I couldn’t resist! I also spent an embarrassingly long amount of time in Sephora (I like to make sure I look at every single brand of make up before making final choices ;), much to the annoyance of whoever I am with), and found myself purchasing some Bumble & Bumble items that I’ve been dying to try out. When are Sephora coming to London, that’s what I want to know!? Lloyd and I spent a week in Las Vegas last year - here are a few of my recommendations! Yesterday marked the official first day of Autumn, and the weather confirmed it this morning with a chill that hit me in the face as I stepped out of the door this morning! Is there anything more British than tweed? It's one of the most iconic fabrics and can add a touch of heritage chic to any outfit.